Your Windows 7 computer boots to a black screen with cursor, and you have no idea what you have done to cause this problem. This is frustrating. But don’t worry. It’s a common black screen issues and you can fix it. Why does the black screen with cursor happen in my Windows 7 computer? Usually you’ll have the black screen issue because of your graphics card problem. Meanwhile the hardware conflicts can cause your computer to black screen. Here are the solutions to try. You don’t have to try them all; just work your way down the list until everything’s working again. If your computer starts with a black screen and a cursor, it’s likely to be result in the hardware conflicts. So you should disconnect the external devices in your computer. Disconnect the external devices, including the USB drive, Headset, and Microphone. Remove your laptop battery and charger cable if you’re using a laptop. Press and hold the power button for 30 seconds and release. Your computer will boot up and turn off during this time period. Put your battery back and plug the charger if it’s a laptop. Press the power button as normal to turn on your computer/laptop. Hopefully it fixes your black screen with cursor and starts your computer properly. The Last Known Good Configuration feature enables you to start your Windows 7 computer when your computer has serious problems, and it loads your system that has worked properly the last time you started. Make sure your computer is off. Then press the power button to turn it on. Press the F8 key after you see the computer logo screen and before the Windows logo. Then the Advanced Boot Options menu will show up. 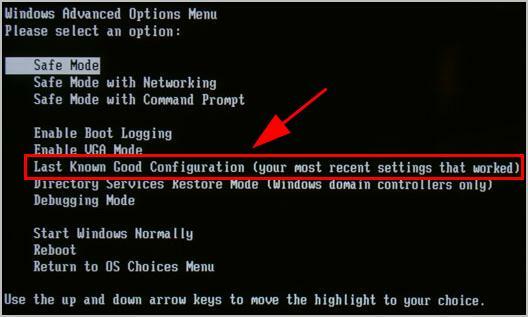 Press the arrow key to select Last Known Good Configuration, then press Enter. Wait for a while for Windows 7 to starts. This will save your Windows 7 computer and fixes your black screen with cursor in Windows 7. A missing or outdated device driver in your computer can cause your computer to the black screen. To rule it out as the cause for the black screen with a cursor, try updating the available device drivers to the latest version. Note: Before performing this method, you’ll need to log into Windows 7. If you can’t log into Windows normally, boot it into Safe Mode with Network first. If your system files are corrupted, you may experience the black screen issue or black screen with cursor, so you can run System File Check (SFC) and fix any corrupted system files. Boot your computer into Safe Mode. 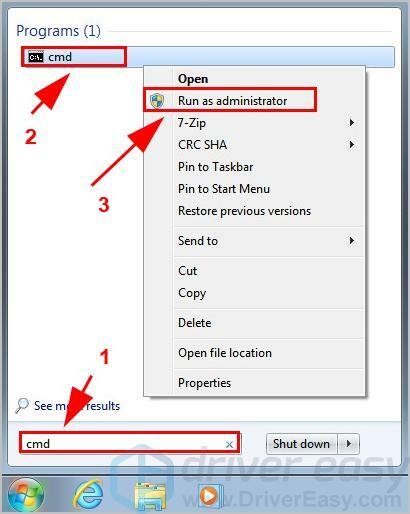 On your desktop, type cmd in the search box, right click cmd, and select Run as administrator. 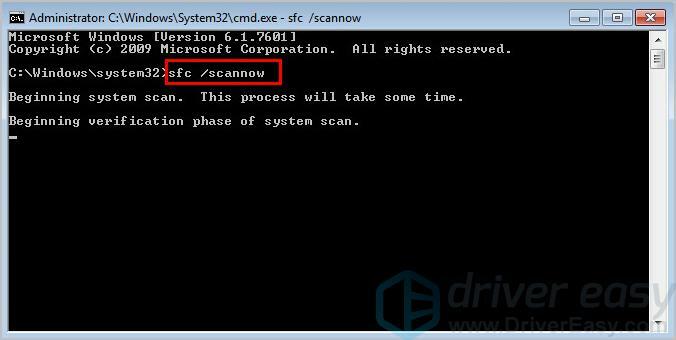 Then the tool will scan your system files and fix any corrupted files for you. Wait for it to complete. Type exit and press Enter to exit Command Prompt. Restart your computer as normal. 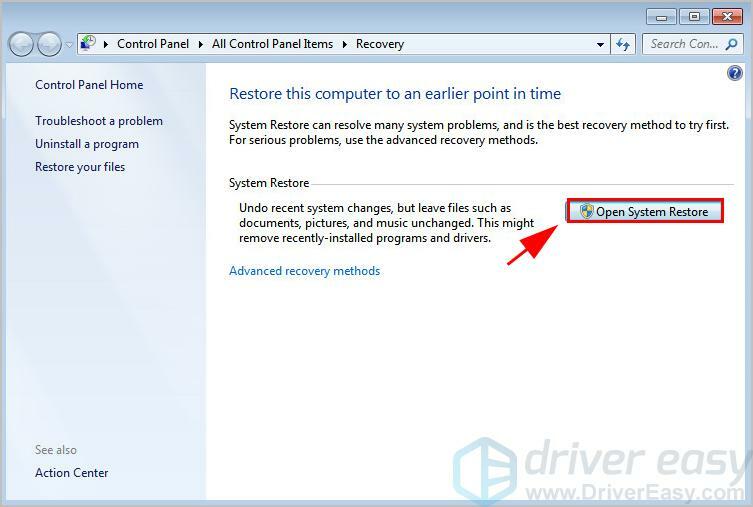 See if your black screen with cursor issue has been resolved. As you know, if your computer is infected with viruses or malware, your computer will be malfunctioning and sometimes can’t start normally. 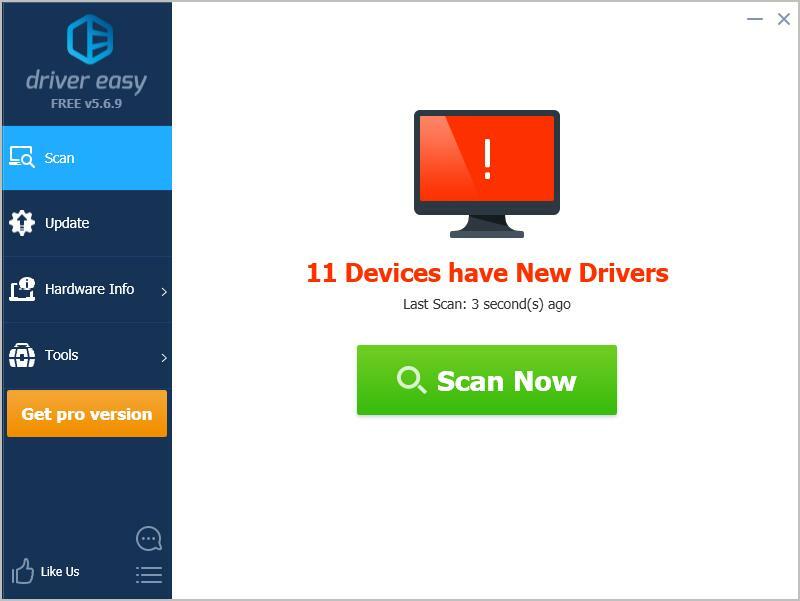 So you should run a full system scan to make sure there are no viruses or malware. Open your antivirus program. Windows Defender may not detect it, so it’s worth trying another antivirus application such as Avira and Panda. If any malware has been detected, follow the instructions provided to fix it. 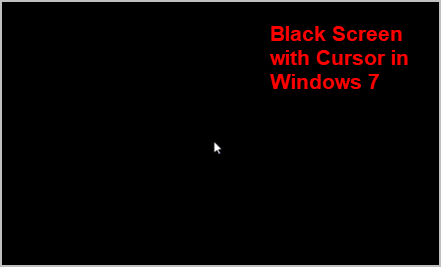 Hopefully your Windows 7 black screen with cursor should be fixed. If not, don’t give up hope. There’s one more thing to try. Boot your Windows 7 computer into Safe Mode. 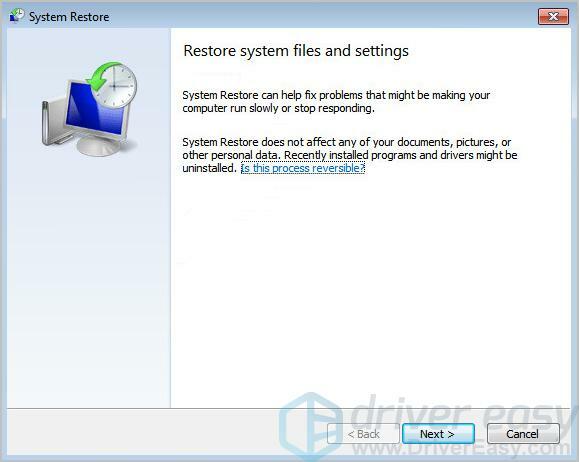 Click Open System Restore to open the System Restore wizard. 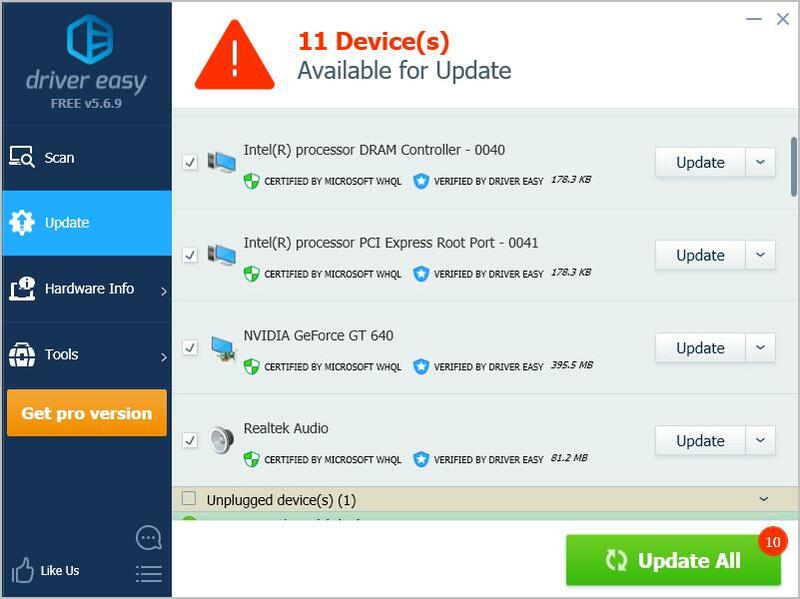 After restoring your system, restart your computer and see if it fixes your problem. 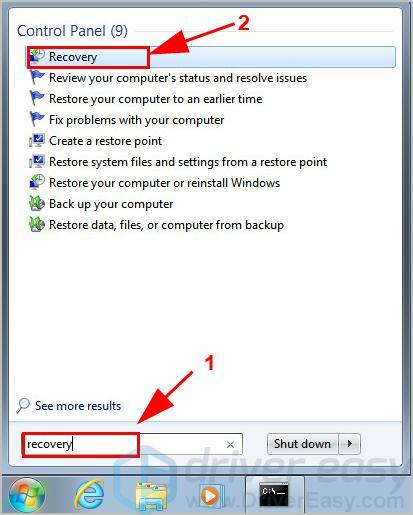 So there you have it – the five methods to fix the black screen with cursor in Windows 7. If you have any question or suggestion, feel free to leave us a comment below.